The much hyped walkout by the Bomet Mps is a non-issue according to Bomet Governor Joyce Laboso. Laboso said the alleged walkout by the Mps on the president during the official opening of the Lake Basin Region Economic Block Forum was being blown out of proportion by the media. The governor said six MPs led by the local Senator chose not to enter the conference tent where the president presided over the official opening of the regional conference when it became apparent the forum’s program did not factor in local leadership as among the speakers of the day. She said the choice of the MPs not to participate in the conference was within their rights. She appealed to the lawmakers to be considerate and stop embarrassing the people of Bomet by fighting over minor issues which can be addressed to the head of state through other official channels. On the on-going conference the governor was upbeat that a lot of progress has been made to actualize the dreams of the 14 counties which have come together to form a formidable economic block to bolster development of the member counties. 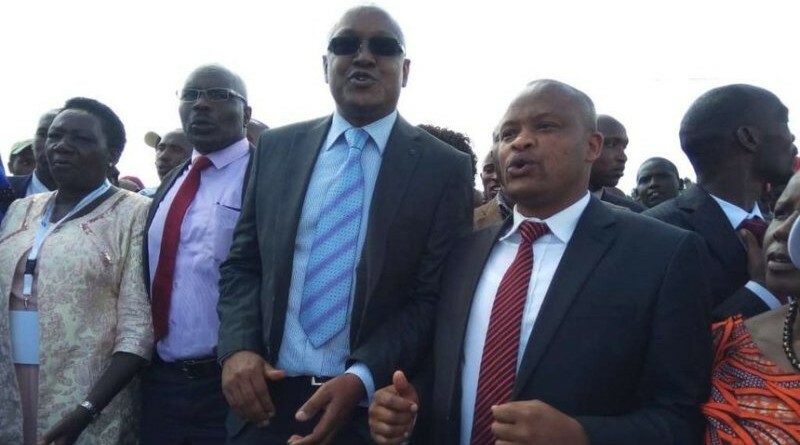 Yesterday MPs from Konoin, Bomet Central, Bomet East, Chepalungu, Sotik, Woman Representative and the local senator boycotted the opening of the Lake Basin Region Economic Forum after accompanying the president and his deputy in the official opening of Sotik KCC and Bomet University tuition block 1 man 1 jar official video. .